Winter is the perfect time to stay warm and cozy indoors. Escaping the blustery cold weather and reading a good book while sipping something warm is what many enjoy doing the most during this time of year. However, before you get too comfortable it’s time to prepare your home for the winter season. It’s common for energy bills to soar during this time of year since you are more likely to crank up the heat and use more of your home’s amenities. We’ve got a few tips to help make sure that you–and your wallet–are able to remain comfortable throughout those cold days. So you won’t have to worry about whether or not you will be broke by spring because of these 5 tips to help cut down on energy costs during winter. Imagine a picturesque scene looking out from your window at snow-covered trees and a cup of warm cocoa in your hands. Now imagine this same scene with a cold draft coming in. Improperly sealed windows account for not only cold air coming in but also warm air going out. Resealing small spaces around closets, doors, and windows can help save hundreds of dollars on your energy bill. This is one of the easiest and inexpensive repairs that you can make to areas prone to uncomfortable drafts coming in. Weatherstripping and caulk are cheap materials that can be used to seal these areas and prevent air and heat from seeping out. As an added bonus, this fix can be completed in just a few hours or less depending on the number spaces you are patching up. It’s tempting to turn up the thermostat and cozy up on the sofa when the temperature drops. Before you touch that gauge though, try bundling up in a warm sweater and turning down the heat instead. 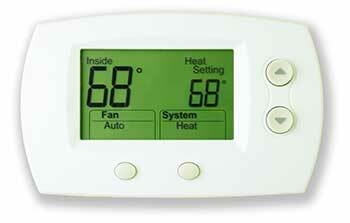 When reducing the thermostat down to 68 degrees during the day, you can save close to 5 percent on your energy bill. This number increases to 10 percent according to the US Department of Energy, when turning it down another 7 to 10 degrees when you are not home. So while you may have to throw on a few more layers, it will be well worth it when you are able to notice a big difference in your heating bill. One of the best things about winter is to sit in front of a nice, roaring fire with loved ones. Just remember that after the fire has died down there are a few things to take care of, which will help reduce heat loss from this part of the house. The most obvious thing is to close the damper in the fireplace after the fire has gone out. Remember to reopen it again when the fire is going unless you enjoy a smoky house. 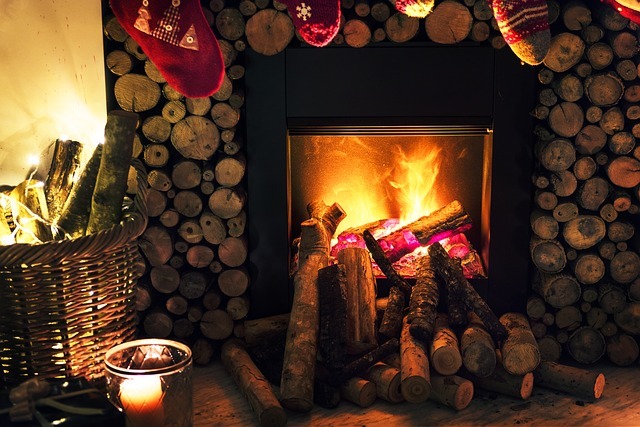 However, if your fireplace is purely for decorative purposes and you never plan on using it consider plugging and sealing the flue. Certain types of grating and covers can help circulate cool air in from the fireplace and back out to warm the room. In addition, fireplaces are another area of the house that can benefit from a little caulk as mentioned above. Sealing areas around the fireplace hearth can reduce the amount of air escaping outdoors. Replacing your home’s HVAC filters is often something that can slip through the cracks in the list of to do’s. However, dirty filters can cause energy bills to skyrocket during winter. How can this happen? Over the course of a few months, air filters covered with dirt and dust force your heating system to work harder. Air is not able to pass as freely through grungy filters and as a result, this increases the amount of energy needed to heat your home. There are varying opinions about exactly how many times per year to change out the filters. For one thing, it’s dependent on the type of filter and your lifestyle. 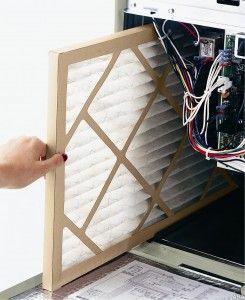 Having pets, smoking indoors, and allergies are factors in how often to replace your filter. A good rule of thumb is to check it once a month for any accumulation or tears. The last thing you need is for your furnace to go kaput during the middle of winter. 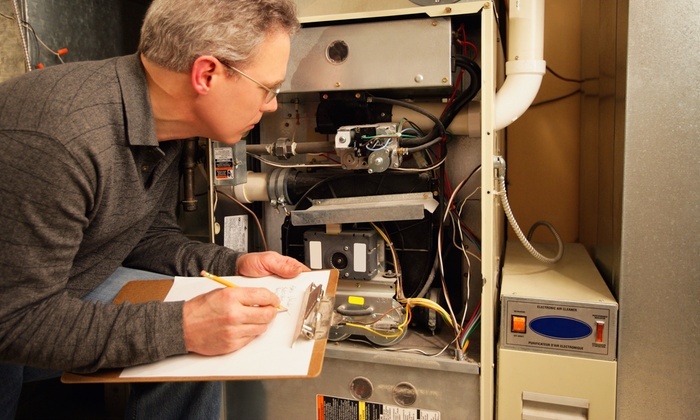 Calling a professional in to take a look at the furnace will help spot any issues such as a faulty air intake or worn parts that could become expensive repairs. When it’s not working efficiently then your furnace will need to work even harder to produce enough heat to keep everyone warm. In addition to preventing this costly repair, your wallet will thank you for making this small investment to circumvent a disaster. There are a number of ways you can reduce your energy costs this winter. As a matter of fact, you can start off with small steps such as turning off and unplugging small appliances that are not in use. 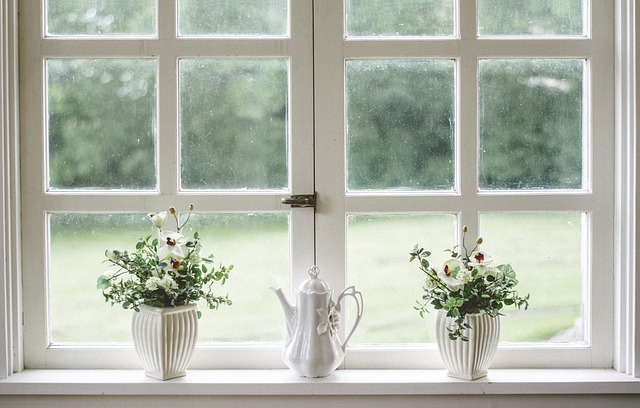 Protecting and winter-proofing your home while increasing its efficiency doesn’t have to be expensive. As a matter of fact, these small investments of time and materials will give you a larger return over the season. No matter which tip you decide to start off with, it will lead to more savings while still keeping you nice and warm during the coolest time of the year.